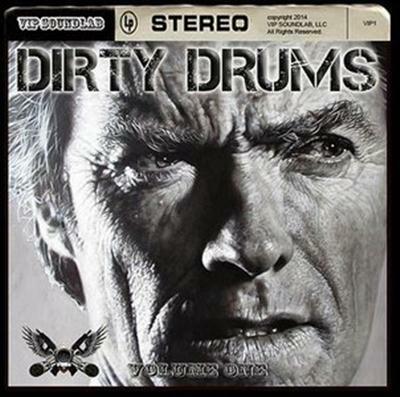 Go ahead make your day and get this incredible Drum Kit. Power packed with amazing PUNCH and DEPTH this collection was recorded in a Major Studio with precise articulation using Intelligent transient preservation to increase the level of the drums without a squashed and lifeless boring low db sound. All the drum samples are neatly arranged and labeled in separate folders in a wav. format. Professionally mixed to ensure the dynamics and character of each sound is SOLID for your hardware and software samplers. This collection provides SUPER CLEAN banging drums AND some drum samples that we made DIRTY so you can focus on your music rather than losing your vibe and wasting time creating the perfect kit. Dont lose inspiration and waste time looking for and eqing drum while these drums go HARD and will take your productions to the next level with a simple drag n drop. We also included 10 custom Maschine 2.0 Expansions for fast and easy access to get your production rolling. All the drum samples are neatly arranged and labeled in separate folders and have been meticulously sampled using the best gear and studio spaces. Also includes custom kit images for an attractive GUI interface. This collection is a great addition to your arsenal of sounds at an inexpensive price with superior sound quality and combined with your hardware or software sampler you can manipulate the samples for unique textures. Treat yourself to some BIG Drum sounds today.